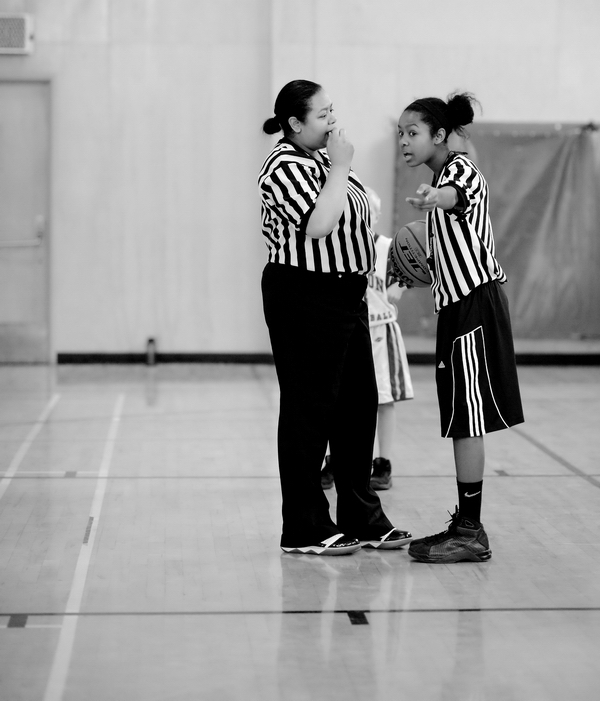 At my son’s basketball game today, these two refs were totally on the kids. All fouls were being called – and rightly so. After an out-of-bounds followed by a time out, the two of them did not agree on which team had the ball. The younger ref won her case, but you can see the older ref did not like being argued with.